A few weeks ago I stumbled upon a Pinterest post about how to do gel nails at home (without a UV light) so I did the only reasonable thing, I pinned it to my beauty board. Come to find out I had pinned an almost identical DIY gel nail post a few months previously but had never followed through with trying it out. Sad truth about my Pinterest habits. This time though I actually followed through. 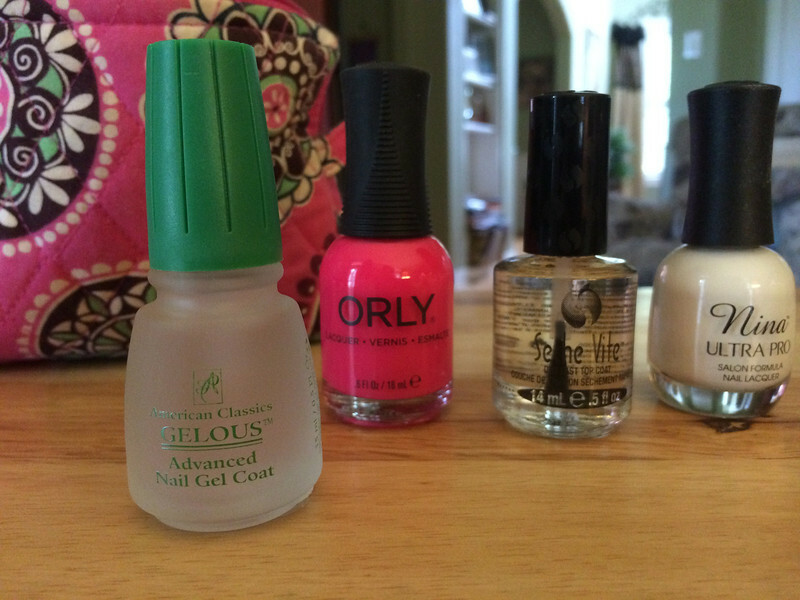 Annelise and I made a mad dash to Sally's one afternoon to get the necessary polishes, most importantly, the Gelous nail gel coat. Of course, we could not resist picking up a few new polishes since they were having a BOGO sale on a couple of their brands (sadly, not the China Glaze, but que sera, sera). I also grabbed a new Seche Vite top coat because it is truly amazing. 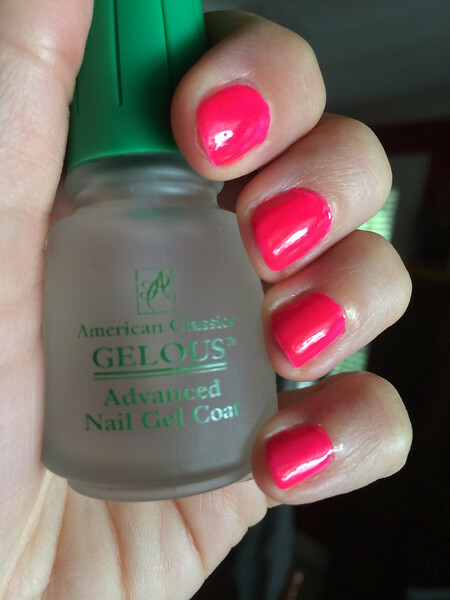 Use one coat of white polish first (after Gelous, if you're going for the gel look) before any neon color, which prevents any of your nail to show through. The last two weeks or so I've been alternating between an orange-y neon and a hot pink neon and the white undercoat has worked great. I followed the tips from the original posts and this process has worked really well for me. **I try to keep my coats fairly thin and allow about a minute or so between each coat. This Gelous stuff is my new BFF! I've been keeping my nails as short as possible, not only do I like this look the best on me, it really helps keep the chipping to a minimum. My nails have been lasting several days before showing any chips, which for me is huge since I've been cursed with thin, peeling nails over the last few years. While Annelise and I were shopping we had an awkward encounter with a Close Talker. A teen girl came in and after wandering around for a while she approached us to discuss all things nail polish. And horses. And slumber parties. All while smacking her gum all up in our personal space. We tried to be polite, but we hurried up our purchases lickety split just the same. Of course I had to explain the original Close Talker so I did the only practical thing, pulled up the Seinfeld episode on You Tube on my phone once we got to the car. What ever would we do without Seinfeld? I'm so glad I don't have to worry about that. Sidenote: Have you ever checked out Jerry Seinfeld's new gig at ComediansInCarsGettingCoffee.com? You must! It's absolutely delightful! Let me know if you try Gelous...I'd love to hear about your results. I like the Out the Door top coat more than Seche Vite. It doesn't get all goopy like Seche Vite sometimes does. This is awesome I know some people that will be getting some of that Gel stuff. In Which I Put the R in Random. Again.